Joining in the growing number of supporters of people who think Artificial Intelligence is helping mankind, Microsoft founder Bill Gates recently said that its benefits outweigh its pitfalls. Gates was speaking at the Misk Global Forum in Riyadh, Saudi Arabia, where the world’s first AI-based robot Sophia was granted citizenship. He said that “freeing” humans from the menial jobs that robots could do, would increase their focus on important things. “As we free labor up from things like manufacturing, we can shift it to some of these very human-centric needs,” he said. 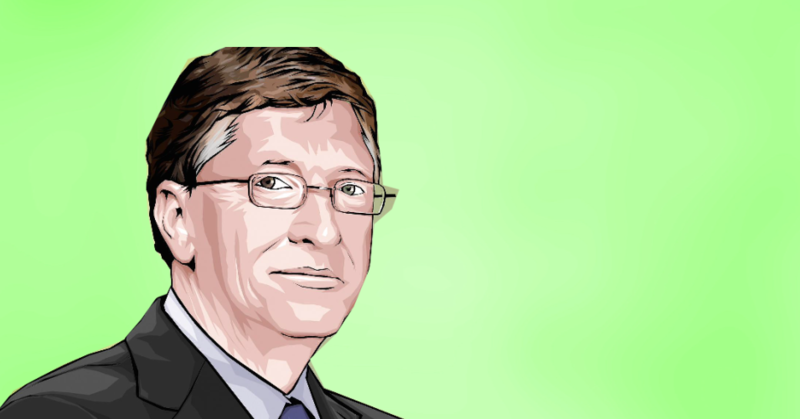 “We are in a world of shortage, but these advances will help us take on all of the top problems… We need to solve these infectious diseases … We need to help health care workers do their job,” said Gates. Gate’s comments come just days after noted physicist Stephen Hawking rung the alarm bells about AI where he said that AI would eventually “replace” humans. Tesla and SpaceX’s CEO Elon Musk had said that not North Korea, but AI could be one of the reasons which will trigger World War III. Musk along with 116 other founders of robotics and Artificial Intelligence companies from 26 countries had also signed an open letter and urged the United Nations to urgently address the challenge of lethal autonomous weapons and ban their use internationally.